A 46 MWp (62 MWp in the 2nd phase) single-axis tracking system centralised photovoltaic (PV) plant in the Portuguese region of Alentejo (Moura municipality, Amareleja parish), promoted by the local municipality and Acciona Energia (Spain), is expected to be completed by the end of 2008. The plant will have the highest power so far installed in the world with this technology. The installation of 46 MWp power represents an investment of approximately 250 million euros. Until now there was installed 30.41 MWp - 66% of the total planned capacity. The installation work will continue through the summer and the plant - which already partially injects electricity to the grid with 3.18 MW operational from the end of 2007 - will likely become fully grid connected later this year. The power plant will generate 90 million KWh a year, equivalent to the consumption of 30, 000 Portuguese homes. 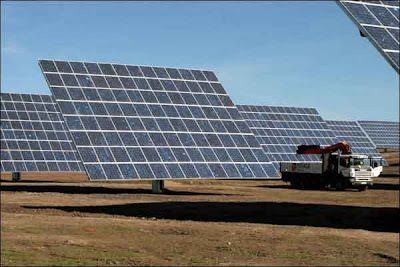 It has 2,520 Buskil solar trackers, 141 m2 each one, supporting 262,080 photovoltaic modules. For the first phase of the solar plant that Acciona Energia is building in Moura, the company signed a contract with the Chinese company Yingli for the supply of PV panels. This agreement takes into account the extension of the supply for a second phase of the plant - 20 MW is planned to begin in 2009 and end in 2010. 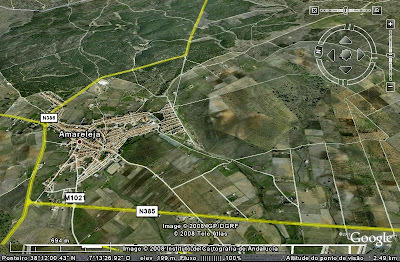 The total area in the parish of Amareleja, near the border with Spain, comprehends more than 250 hectares of land, the vast majority without any agricultural or forestry aptitude. The occupation of this space for the installation of a power plant represents the allocation of an economic function to a territory that was excluded from the local economy. Sum of global annual irradiation, focusing on a photovoltaic module with optimal orientation for midday. The first phase of work will include Acciona’s single-axis Buskil trackers fitted with modules and also modules on fixed steel structures. The produced electricity will be transformed to 60 kV for evacuation to the grid at Alqueva. The project includes a control centre of the power plant, which will have an area for educational visits related to renewable energies. Oriented at the 45 ° fixed inclination and capable of 240 º East-West rotation movement following the sun across the sky. In September 2006, the Spanish company Acciona, leader in the renewable energies sector, has acquired all the stocks of the owner of the installation rights (Amper-Central Solar SA) after a long process of consultation and negotiation with several companies and entities. Earlier, the Municipality of Moura had 88% of the capital, Renatura 10% and Comoiprel the remaining 2%. According to the President of the Municipal Chamber of Moura, it was essential to find a partner with the financial capacity to develop the project. 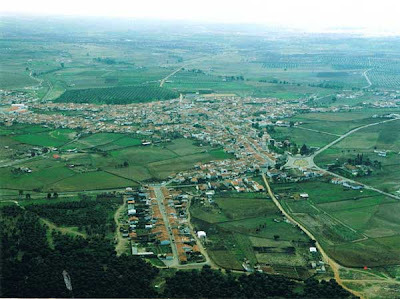 At the time, the municipality stated that the aim of the contract was the acquisition of the entire social capital of Amper, allowing the construction of the Central Solar of Moura with the initial installation (up to 2008) of 40 to 45 MWp and with the possibility of installation (until 2010) for more than 20 MWp. It also enabled the installation of a PV module assembly factory in Moura, as well a Fund of three million euros for the development of research projects related to renewable energies. Indeed, single municipalities usually don't have sufficient financial capacity to realize big local projects like this one. To achieve this investment, the municipality had to sell its capital shares. As intermunicipal cooperation hasn’t worked in these cases, we may wonder whether the implementation of the administrative region of Alentejo might be a strong factor for maintaining environmental investments, partially or totally, in the hands of the region. The challenge will be to maximize the benefits (social-economical-environmental) of local populations, not the profits of global corporations . In the next article we will describe the Moura Project on other main “tracks”: Moura Solar Factory (MFS), Moura Technological Park and the Micro-generation program - in the context of the Regional Development strategy. My name is Alex,private person from Eastern Europe.I would like to help you with your project.